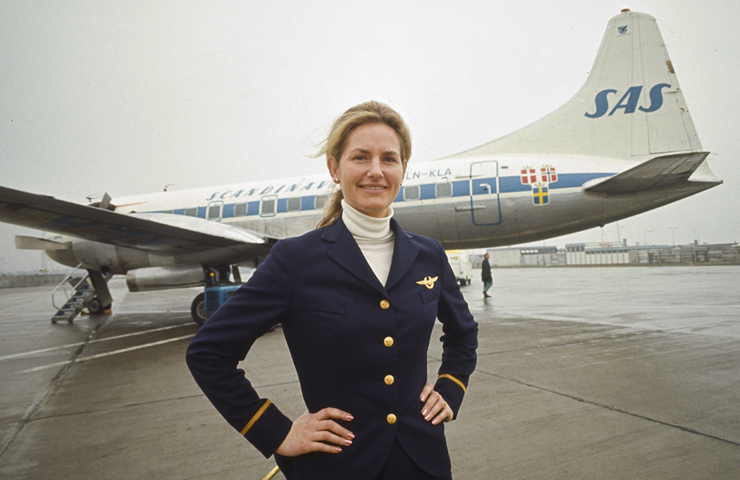 30 April 1969: Turi Widerøe made her first scheduled flight as the first officer of a Scandinavian Airlines System (SAS) Convair 440 Metroliner. She was the first woman to fly for a Western airline. 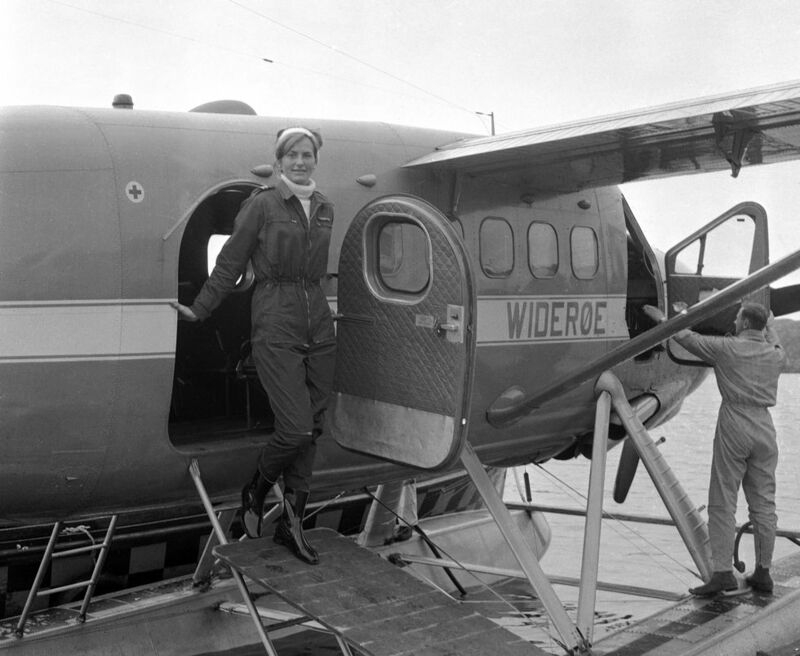 Captain Widerøe earned her commercial pilot certificate in 1965 and flew the Noorduyn Norseman and de Havilland Otter for Widerøe’s Flyveselskap A/S, a regional air service founded by her father, Viggo Widerøe. In 1968 she joined SAS and completed the company flight academy in 1969, qualified as a first officer. She later was promoted to captain, and flew the Caravelle and Douglas DC-9 jet airliners. Turi Widerøe left SAS in the late 1970s following the birth of her second child. Her airline officer’s uniform is on display at the Smithsonian Institution National Air and Space Museum. Turi Widerøe was born 23 November 1937 at Oslo, Norway. She is the daughter of Viggo Widerøe and Solveig Agnes Schrøder. She studied at the Statens håndverks- og kunstindustriskole (the Norwegian National Academy of Arts and Craft Industry), graduating in 1958. She worked as a book designer and magazine editor, then as assistant manager of a mine in Troms. Ms. Widerøe qualified for a private pilot license in 1962. After earning a commercial pilot license, she went to work for Flyveselskap A/S, though her father was initially opposed to her career change. After leaving SAS, Ms. Widerøe went to work for NRK, the national radio and television broadcast service of Norwaay, as a program director. In 1972, Ms. Widerøe married Karl Erik Harr, and artist. They divorced in 1975. She earned a master’s degree in history from the University of Oslo in 1998, and a second master’s from the University of Tromsø in 2006. 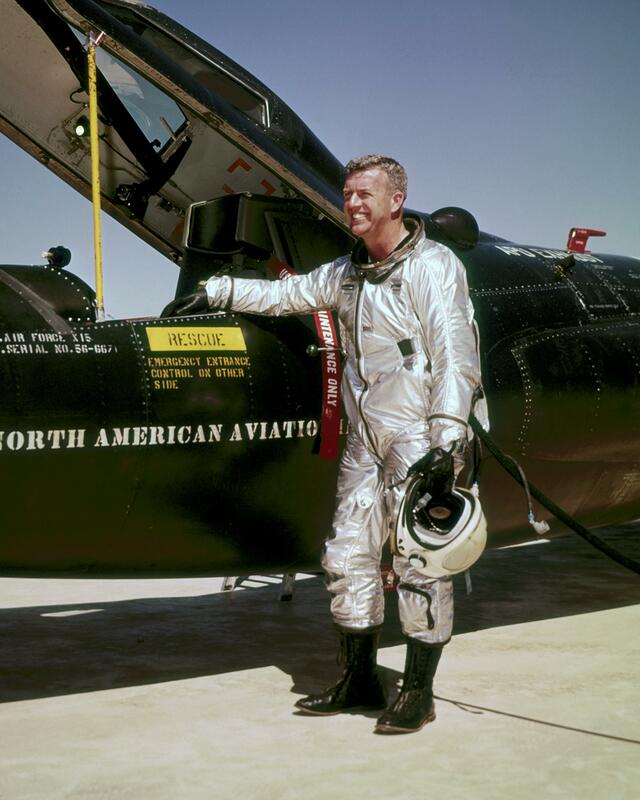 30 April 1962: The Chief Research Test Pilot at NASA’s High Speed Flight Station, Joseph Albert Walker, flew the first North American Aviation X-15 hypersonic research aircraft, 56-6670, on its twenty-seventh flight. This was Flight 52 of the NASA X-15 Hypersonic Research Program. The purpose of this test flight was to explore aerodynamic heating and stability at very high altitudes. 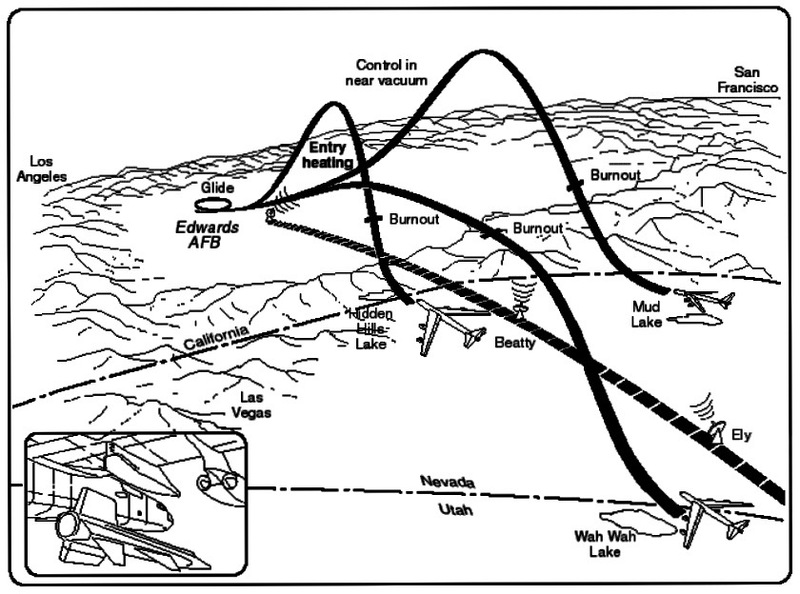 At an altitude of approximately 45,000 feet (13,716 meters) over Mud Lake, Nevada, the X-15 was released from Balls 8, the NB-52B drop ship, at 10:23:20.0 a.m., Pacific Daylight Savings Time. 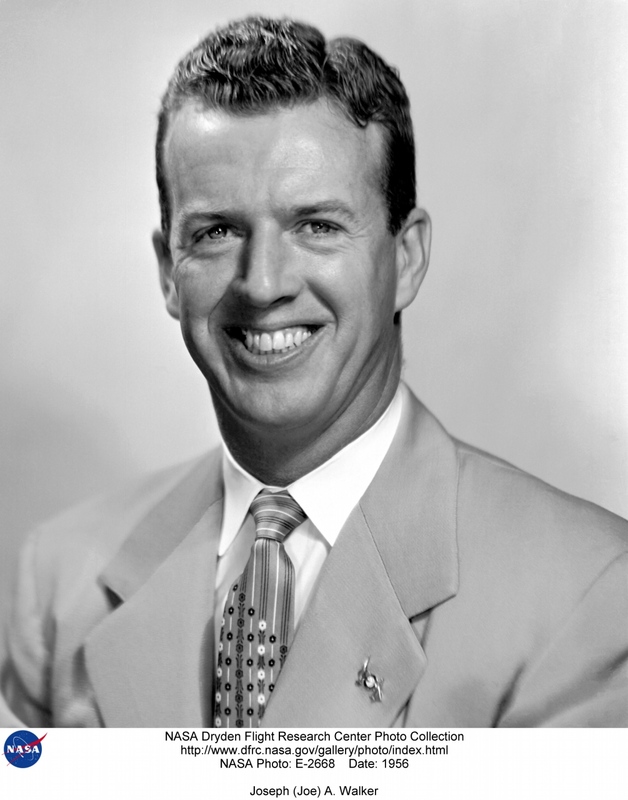 Walker started the Reaction Motors XLR99-RM-1 rocket engine. The planned burn time was 81.0 seconds, but the engine ran slightly longer: 81.6 seconds. Even with the longer burn, the X-15 undershot the planned speed of Mach 5.35 and peak altitude of 255,000 feet (77,724 meters). The actual maximum speed for this flight was Mach 4.94, and maximum altitude, 246,700 feet (75,194 meters). Walker landed on Rogers Dry Lake. The total duration of Flight 52 was 9 minutes, 46.2 seconds. 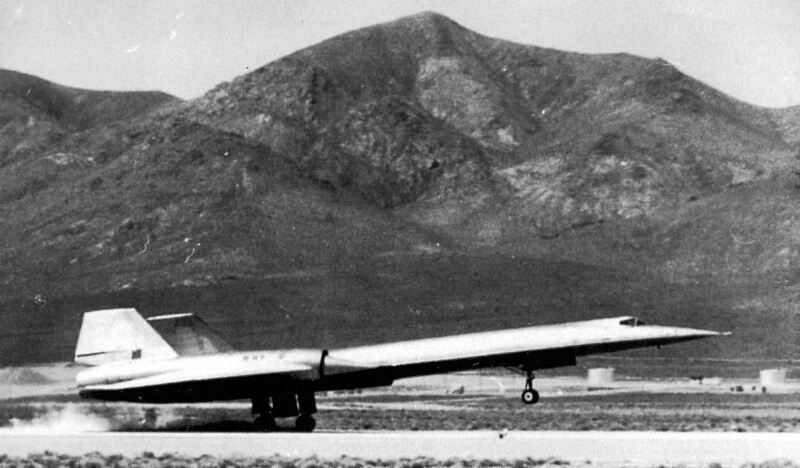 30 April 1962: Though it had been airborne briefly just a few days earlier, “Article 121”, the first Lockheed A-12, serial number 60-6924, took off from a Top Secret facility at Groom Lake, Nevada, on its “official” first flight. 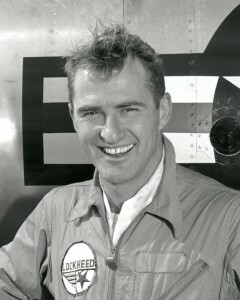 Lockheed test pilot Louis Wellington (“Lou”) Schalk, Jr. was in the cockpit. The 72,000-pound (32,659 kilogram) airplane lifted off the 8,000-foot (2,438 meters) runway at 170 knots (196 miles per hour, 315 kilometers per hour). During the 59-minute test flight, Schalk kept the airspeed to just 340 knots (391 miles per hour, 630 kilometers per hour), but climbed to 30,000 feet (9.144 meters) while he tested systems and handling characteristics. He described the airplane as very stable and extremely responsive. 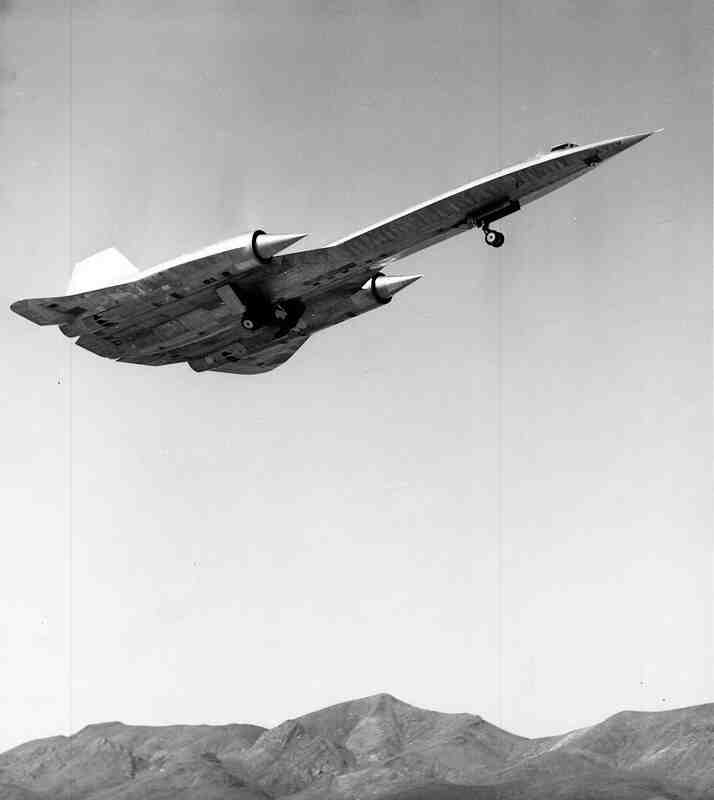 The A-12 could fly faster than Mach 3 and higher than 80,000 feet—so fast and so high that no missile could reach it. 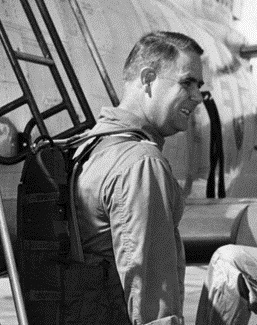 By the time missile site radar locked on to an A-12 and a missile was prepared to fire, the Oxcart had already flown beyond the missile’s range. 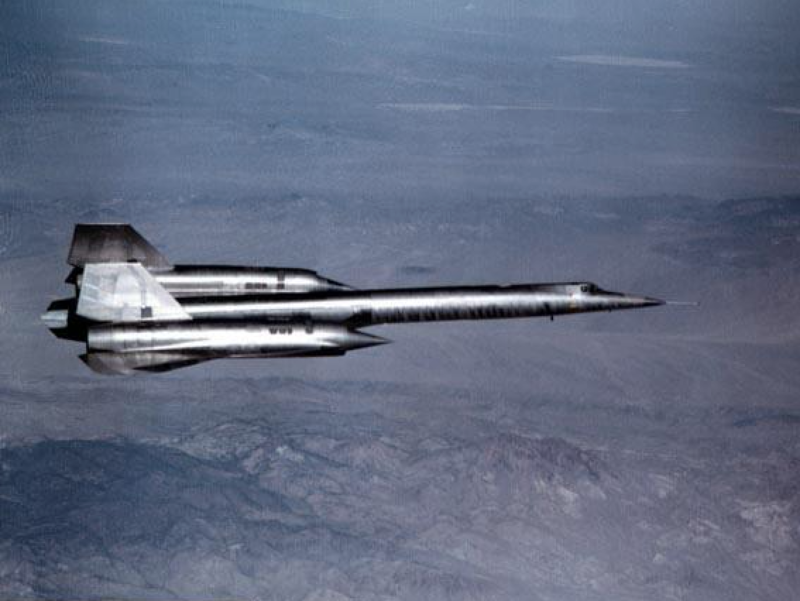 The Lockheed A-12 was a single-place, twin-engine hypersonic reconnaisance aircraft. It was 101.6 feet (30.97 meters) long, with a wingspan of 55.62 feet (16.95 meters) and overall height of 18.45 feet (5.62 meters). It had an empty weight of 54,600 pounds (24,766 kilograms) and maximum gross weight of 124,600 pounds (57,878 kilograms). The A-12 was powered by two Pratt & Whitney JT11D-20 (J58-P-4) turbo-ramjet engines, rated at 25,000 pounds of thrust (111.21 kilonewtons) and 34,000 pounds of thrust (151.24 kilonewtons) with afterburner. The exhaust gas temperature is approximately 3,400 °F. (1,870 °C.). The J58 is a single-spool, axial-flow engine which uses a 9-stage compressor section and 2-stage turbine. The J58 is 17 feet, 10 inches (7.436 meters) long and 4 feet, 9 inches (1.448 meters) in diameter. It weighs approximately 6,000 pounds (2,722 kilograms). Today, the first Lockheed A-12 is on display at Blackbird Airpark, an annex of the Air Force Flight Test Museum, Edwards Air Force Base, California. It has made 322 flight and accumulated a total of 418.2 flight hours. 30 April 1952, the first North American Aviation F-86H Sabre fighter bomber, YF-86H-1-NA 52-1975, made its first flight with test pilot Joseph A. Lynch, Jr., in the cockpit. 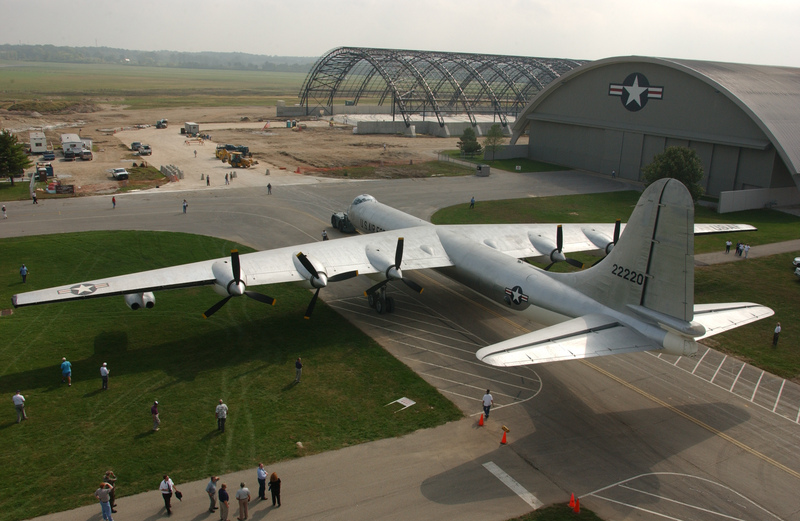 It was flown from the Inglewood, California, factory to Edwards Air Force Base for evaluation and testing. While the F-86A, E and F Sabres were air superiority fighters and the F-86D and L were all-weather interceptors, the F-86H was a fighter bomber, designed to attack targets on the ground with guns bombs and rockets. Larger and with a maximum gross weight nearly 4,000 pounds (1,814 kilograms) heavier than an F-86F, the H model’s J73 engine provided almost 40% more thrust. 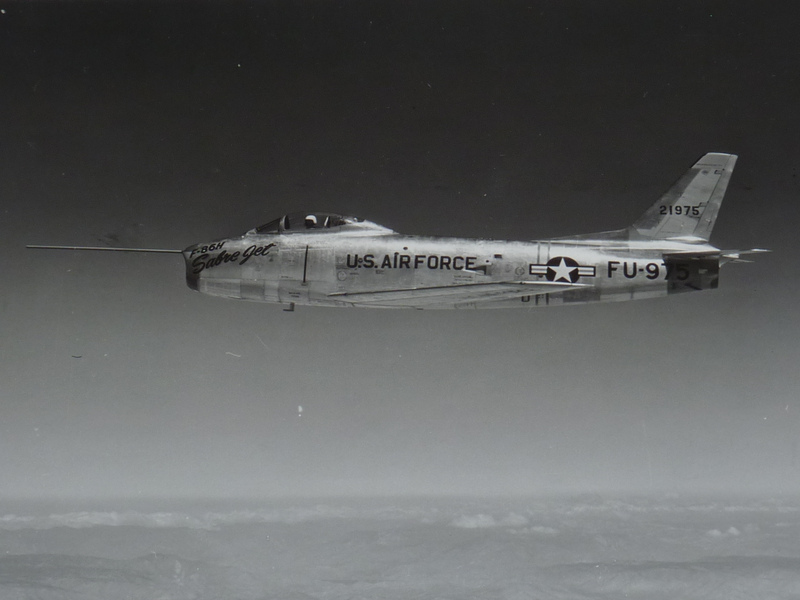 Though it’s top speed was only marginally faster, the F-86H could take off in a shorter distance and climb faster with a higher service ceiling than the earlier models. The two pre-production aircraft were built at Inglewood, California, but all production airplanes were built at Columbus, Ohio. 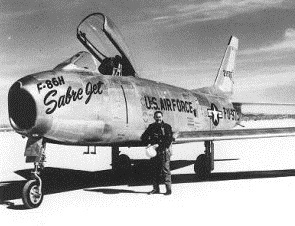 The serial numbers of those F-86H Sabres have the suffix -NH. The North American Aviation F-86H Sabre was 38 feet, 10 inches (11.836 meters) long with a wingspan of 39 feet, 1 inch (11.913 meters) and overall height of 14 feet, 11 inches (4.547 meters). Empty weight was 13,836 pounds (6,276 kilograms) and gross weight was 24,296 pounds (11,021 kilograms). The F-86H was powered by a General Electric J73-GE-3D or -3E engine, a single-spool, axial-flow, turbojet engine, which used a 12-stage compressor section with variable inlet vanes, 10 combustion chambers and 2-stage turbine section. It produced 8,920 pounds of thrust (39.68 kilonewtons) at 7,950 r.p.m. The J73 was 16 feet, 8 inches (5.08 meters) long, 3 feet, 3.5 inches (1.03 meters) in diameter and weighed 3,650 pounds (1,656 kilograms). The F-86H had a maximum speed of 692 miles per hour (1,114 kilometers per hour) at Sea Level and 617 miles per hour (993 kilometers) at 30,000 feet (9,144 meters). The fighter bomber had an initial rate of climb of 12,900 feet per minute (65.53 meters per second) and it could reach 30,000 feet in 5.7 minutes. The service ceiling was 50,800 feet (15,484 meters). With bombs, the F-86H had a combat radius of 403 miles (649 kilometers) at 552 miles per hour (888 kilometers per hour). The maximum ferry range was 1,810 miles (2,913 kilometers). The two pre-production YF-86Hs were unarmed. The first ten production airplanes were built with six .50 caliber Browning machine guns, the same as the F-86F Sabre, but the remaining F-86H Sabres were armed with four M-39 20 mm autocannon with 600 rounds of ammunition. 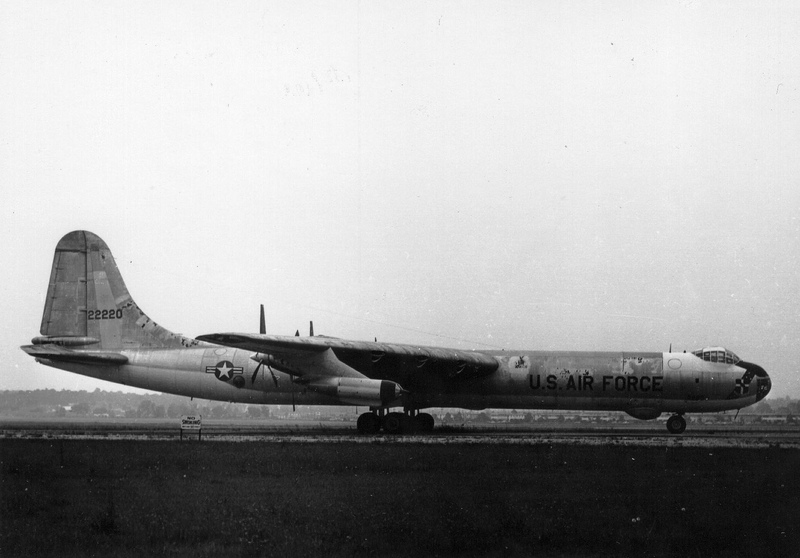 In ground attack configuration, they could carry rockets and bombs or “Special Store” that would be delivered by “toss bombing.” 473 F-86H Sabres were built before production ended. 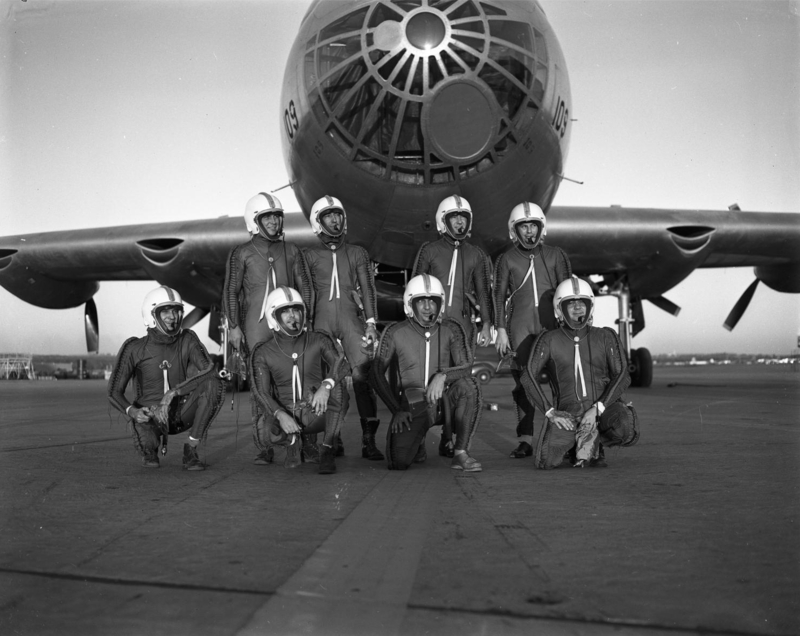 The F-86H Sabre became operational in 1954, but by 1958 all that remained in the U.S. Air Force Inventory were reassigned to the Air National Guard. The last one was retired in 1972.